Alipay users across China will now be able to make in store payments by scanning QR codes through the mobile payment platform using Samsung Pay, as a result of a partnership between Samsung and Alipay parent company Ant Financial. Samsung Pay users will be able to load their Alipay account details into the Korean phone maker’s mobile wallet, meaning they can make payments without having to open the standalone Alipay app. 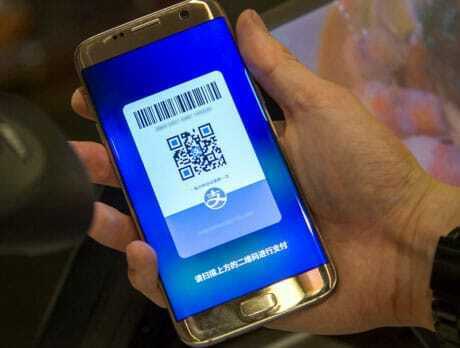 “After registering your Alipay account into Samsung Pay, users simply can begin paying with their mobile phones by swiping up from the lock screen, home screen or sleep mode, selecting the Alipay QR code and holding the smartphone up to the merchant’s scanner to scan the QR code at the register,” Samsung says. “The reception of Samsung Pay since its launch has been extremely positive and the service has already seen tremendous success in terms of availability and adoption by consumers,” says Injong Rhee, the head of R&D, software and services for mobile at Samsung. “Alipay covers the vast majority of online payment use cases,” adds Fan Zhiming, president of the payment business unit at Ant Financial. “At the same time, it also developed a variety of offline use cases, including restaurants, supermarkets, convenience stores, taxis, hospitals and public services.